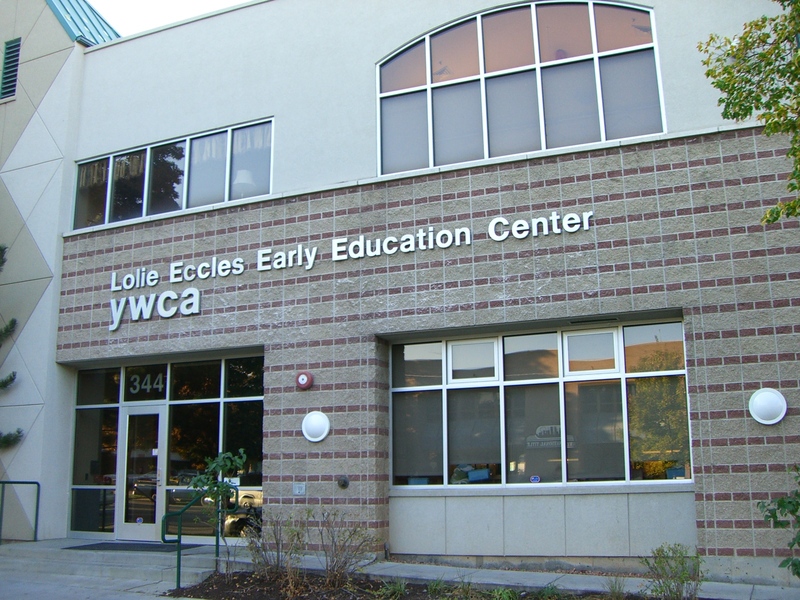 The Utah Domestic Violence Council works with many women's shelters, including the YWCA in Salt Lake City. Kenneth Warhola arrived at his Layton home Sept. 8 to find his wife locked in their children’s room. After several attempts to persuade her to open the door he broke it down. She was sitting next to the couple’s two children, Jean, 7, and James, 8, who were covered with a sheet and unresponsive. His wife, Sun Cha Warhola, 44, is charged with strangling them to death. As the information came out in the Salt Lake Tribune and Deseret News, it was learned that disputes between Sun Cha Warhola and her husband had been ongoing for more than four years. According to the Tribune, Kenneth Warhola was charged with domestic violence in 2007. In another incident both Warholas were charged after an altercation in a parking lot. One report just weeks before the murders showed that Sun Cha Warhola alleged that her husband had sexually abused their children. The Davis County Attorney’s office reviewed the case and determined the accusations were unsubstantiated, as reported by the Tribune. The Deseret News wrote that before the murders, Sun Cha Warhola called a Korean newspaper in a desperate attempt for help. She told Inseon Cho Kim, director of the Korean Times of Utah, that she dreaded leaving her husband with their children in the event of a divorce. While all women have difficulty coming forward to get help for domestic abuse, women in the Asian community face a particular quandary. Prevention and educational programs on domestic crime aren’t targeted to Asian women. A report published by the National Asian Women’s Health Organization suggested that this is because society tends to view the Asian population as a “model minority,” meaning that they are viewed as achieving high rates of success. Asian women have the lowest rate of domestic violence of any of the major racial groups. A small number of Asian and Pacific Islander women, 12.8 percent, reported having experienced physical assault by a partner at least once in their lifetime, according to a study published by the Asian & Pacific Islander Institute on Domestic Violence. This was the lowest percentage among any racial class surveyed, which was cited by experts as being due to underreporting. The unwillingness to come forward in cases of domestic violence among Asian women may also be perpetuated by culture. Dr. Linda Oda, director of Asian Affairs at the Utah Office of Ethnic Affairs, said that abuse in Asian families isn’t often reported because their cultural values tend to stress keeping things within the family. Unlike Western culture, traditional Eastern culture puts emphasis on the family instead of the individual, leaving Asian women feeling less inclined to report physical and domestic abuse. The Utah Domestic Violence Council (UDVC), 205 N. 400 West, a nonprofit organization with resources throughout the state, is reaching out to the underserved communities across Utah in an effort to prevent future domestic crimes. In preparation for Domestic Violence Awareness Month in October, the council’s diversity coordinator, Hildegard Koenig, provided information to the Asian Advisory Council so its eleven members could pass it to their respective communities. She approached the council because it connects the Asian community with Oda and her office. “By working and educating community leaders and building those strong relationships we can start a dialogue on how we can better assist victims of domestic violence in their communities,” Koenig said. Sometimes the educational materials fall short. Salman Masud, the council’s representative of the Pakistani community, said the materials offered by the UDVC were only written in a few languages, which narrows the ability of non-English speaking Asian immigrants and refugees to know whom to contact in a domestic abuse situation. Currently the brochures are offered in seven languages, including Chinese, Tongan and Samoan. Koenig is seeking individuals to help translate the material into other languages. Non-English speakers can call The Utah Domestic Violence Link Line, 800-897-LINK (5465). The hotline is currently available in 144 languages, making it a good resource for members of all communities who may not be able to get the printed materials in his or her language. Many of the UDVC‘s resources can be accessed online, including special reports, training materials and a map of domestic violence programs throughout the state. Harmony's ex-husband was treated at UNI for his mental illness. About one in four adults and one in five children suffer from a diagnosable mental illness, according to the National Institute of Mental Illness. There are many reasons why a person develops a mental illness. There are also many examples of how the effects of a mental illness can affect relationships, especially marriage and family. When Harmony met her future husband online, he told her he had post-traumatic stress disorder (PTSD), but it was under control. “He said he had been in counseling for PTSD for 20 years but he had it under control and things were fine,” said Harmony, who asked that only her first name be used for safety reasons. She later found out it was not under control and he had been diagnosed with bipolar disorder as well. Harmony moved from Australia to Utah and the couple decided to marry. She had two young daughters at the time. But her husband’s mental illnesses strained not only their relationship, but also the relationship with her and her daughters. “There were times where I had to put my children second. He forced me to put him first and it pushed them away,” Harmony said. Her daughters were so young they did not understand their stepfather had problems. “After the divorce, they didn’t trust me for awhile. They were resentful,” she said. Harmony said her husband was dangerous. He abused her emotionally and psychologically most of their marriage. “He had to be in control. He would control the money, degrade me in front of my kids and he would use his depression to control me,” Harmony said. She said if he was not getting attention he would threaten to kill himself, overdose on pills, or cut himself. It was after a physical beating that Harmony left. “The connections between domestic violence and mental illness are numerous and complicated,” said Dr. Melissa Galvin of the University of Alabama at Birmingham during a seminar in 2006. Galvin also said researchers at John Hopkins University found that “adolescents who see domestic violence between their parents are far more likely to suffer symptoms of clinical depression – including headaches, digestive problems, social isolation, insomnia, and thoughts of suicide.” This is an example of how mental illness affects the entire family. A 2007 article by the National Alliance on Mental Illness (NAMI) in Fort Wayne, Ind., said it is important to set boundaries in families with a person who has a mental illness. “In a marriage where one partner is mentally ill, the well spouse must aggressively set and enforce boundaries if the family is to survive. Boundaries are absolutely vital to the survival of the family,” said Kathy Bayes, executive director of NAMI. Something that Dr. Peine finds absolutely necessary is “to get a proper diagnosis.” Without that, the medications and other remedies are not going to work. Sometimes if the patient feels like the medication they are on is not working, they will decide to discontinue it. Sometimes it takes family to get them back on track. “A lot of times their family will bring them into the ER because they want the meds back,” said Dr. Dean Orton, who works in family practice and the ER in Lincoln City, Ore. “At that point [after quitting medication] they become fairly psychotic and are in the hypo-manic stage.” When it reaches that point, medication is necessary. Another example in Harmony’s life dealt with medication and the abuse of it. Her husband was a drug seeker. She said he would hear about different disorders on commercials or read about them. He would go to different doctors and tell them he had symptoms related to disorders ranging from insomnia to restless legs syndrome in order to get medications. Anything he could get his hands on, he would use. “One time I had a horrible toothache and he took me to the ER to get something for it. The doctor gave me hydrocodone. I used it a couple times but I didn’t like the way it made me feel,” Harmony said. Her husband finished it off. Harmony said she had once filled up a garbage bag with all the medicine she found in the medicine cabinet. “It is very common to see other drug abuse. Any mind-altering substance – illicit or legal,” Orton said. According to the National Drug Intelligence Center, disorders like bipolar, PTSD and anti-social disorder are associated with chronic drug abuse. The National Institute of Mental Health reports that those who have anti-social disorder are at a 15.5 percent risk of drug abuse. On the other side of things, abusing drugs like ecstasy can also cause mental illness, like depression and anxiety. However, this should not deter anyone from going on the correct medication. Peine said that getting kids diagnosed early and getting them on medication will actually lead them away from drug abuse later in life. Children, especially those of a parent with a mental illness, are susceptible to developing a mental illness. “Young people growing up with parents dealing with emotional problems are at greater risk of having behavioral/emotional problems themselves due to genetic factors and harmful psychosocial experiences,” said Dr. Michelle D. Sherman in an article for Social Work Today. However, Sherman also said these children can develop valuable personal strengths like compassion, sensitivity, resourcefulness, strength and independence. Sherman said making sure a child understands what his or her parent is going through is important. There are ways of helping children cope when a parent has a mental illness, like keeping a stable home environment, making sure the child knows it is not his or her fault and showing them they are loved. Harmony, who is now divorced, is working full time and her daughters are doing well in school. “My life has been so much more peaceful since he’s been gone. My girls are more relaxed and even our dog is more relaxed and happy,” she said.